Need a new replacement plate for your car, van, truck or caravan? We have the best price on the market ! 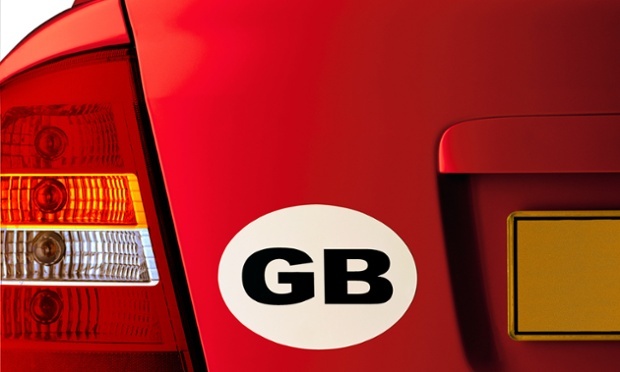 You’ll still need a GB sticker when travelling in Europe if you display one of these national flags and identifiers. The flag must be above the identifier. You can’t have the flag or letters on the number plate margin, and neither can be more than 50 millimetres wide. If you display the Euro symbol and Great Britain (GB) national identifier on your number plate, then you won’t need a separate GB sticker when travelling within the European Union. We only supply legal registrations – made to order with dame day postage. 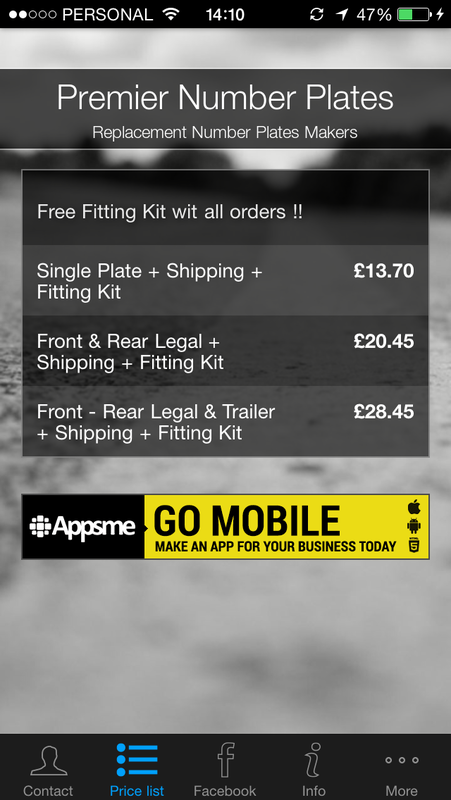 We have created our new Number Plates App, download it !! 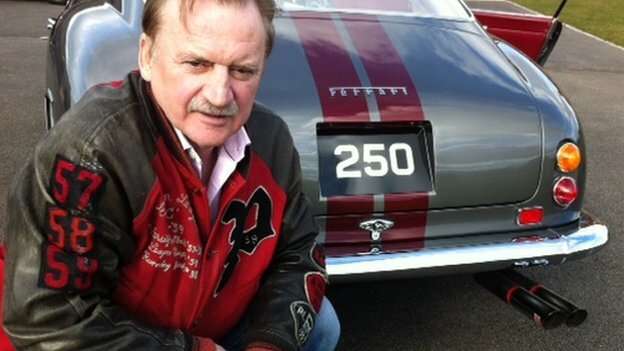 When the auctioneer’s hammer came down, classic car dealer John Collins was looking at a bill of £518,000. But it was not a rare Ferrari that he had bought. 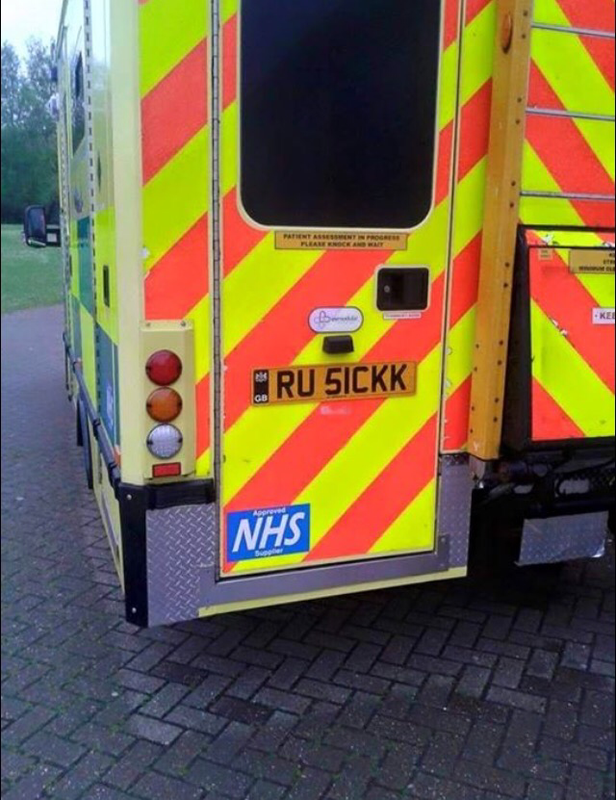 It was a number plate. The registration plate “25 O” is the most expensive ever bought at a Driver and Vehicle Licensing Agency (DVLA) auction. Even so, Mr Collins, who owns classic Ferrari dealer Talacrest, says he would have bid more at the auction for the plate which matches the 250 model. “It was a question of holding one’s nerve until the very end,” he says, glancing at the plate on the vehicle which itself has an estimated value of millions of pounds. “I’m glad it stopped where it stopped – £520,000. You could buy a couple of nice cars with that. He is not the only motor enthusiast buying a personalised plate as an investment, according to brokers. Despite sometimes being seen as a tacky accessory for the rich and famous, the popularity and value of some plates have been rising. A number plate linked to one of the most expensive cars in the world has failed to approach a record price. Registration “250 C” was expected to appeal to owners of Ferrari’s 250 GT California Spyder and had been tipped to sell for more than £500,000. However, the hammer fell with bidding at £21,500 during the DVLA auction in Nottingham. The existing record was set in November, when a Ferrari dealer bought “25 O” for £518,000. While the hammer price was for the plate was £21,500, fees and other charges brought the total to £27,944. The link to Ferrari’s car was expected to be enough to attract some wealthy buyers to the “250 C” registration. DJ Chris Evans paid more than £5m in 2008 for his Ferrari 250 GT SWB California Spyder, once owned by Hollywood actor James Coburn. Second ‘joke’ plate was found in the same car. The controversial Top Gear presenter – along with co-hosts James May and Richard Hammond, and their crew – had to flee Argentina last week after locals were angered by the ‘H982 FKL’ plates, an apparent reference to the 1982 Falklands War. The BBC insisted they had not even realized the meaning behind the Porsche 928GT’s plates until three days into filming. They were removed when locals complained. 11/02/2015 The Argentinian ambassador to the UK has demanded a public apology from the BBC following the row over a Top Gear special filmed in the South American country. The show’s crew had to leave the country after trouble erupted when it emerged they were using a Porsche with the registration number H982 FKL, seen as a reference to the Falklands conflict of 1982. Top Gear executive producer Andy Wilman has denied the number plate was a “stunt” and Jeremy Clarkson was “shocked” when someone pointed out the link between the number plate and the Falklands War days into filming. She met the BBC’s director of television, Danny Cohen, at New Broadcasting House in central London yesterday. How to use our Number Plate Maker ? You may want to change or replace your car number plates for several reasons. They may subject to years of wear and tear and hence might have lost their visual appeal, or have been stolen or simply damaged. 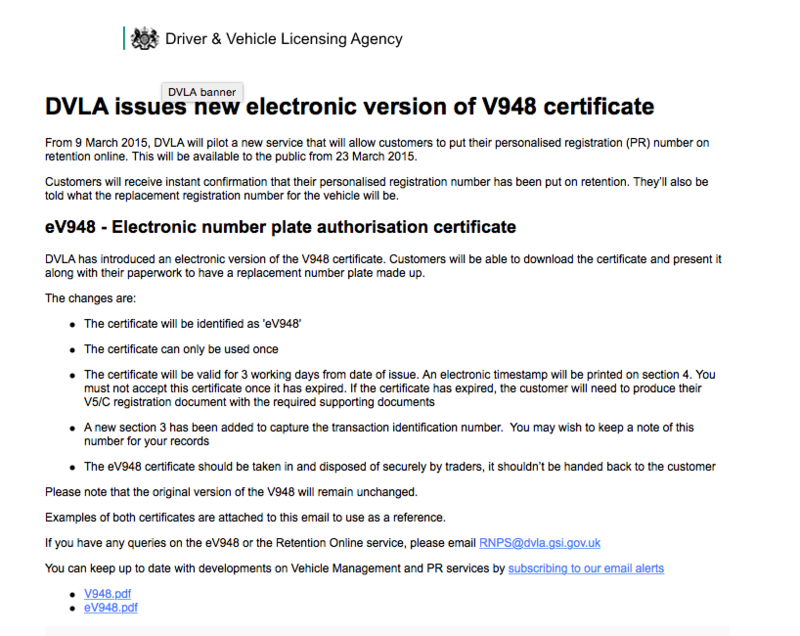 Regardless of the reason for replacing your number plates, locating your nearest number plate makerDLVA, driving down to the office and then queuing with the necessary documents just to place your order for UK registration plates is collectively a daunting affair.Adding to this, there is always the time missed at work to complete this task and if you just can’t make it to the DLVA during their opening hours, which are 9.00am to 5.00pm Monday to Friday and 9.30am to 5.00pm on the second Wednesday of every month, then you will have to take an inevitable break from driving legally on UK roads. However, our number plate maker makes this task a whole lot easier, convenient and seamless by allowing you to simply order your replacement plates from us online and have them shipped right to your doorstep within a few days. When you choose to use our number plate maker, you are presented with an easy to use interface from where you enter your details, pay and complete your order. There are five fields to fill out including the type of vehicle you require UK number plates for, your current registration number, rear plate for your trailer if you have one, badge/flag, border and writing style. Once you’ve entered the details correctly and submitted the order form, you will be presented with an order conformation page, from where you can choose whether you’d like your plates delivered to within the UK, Europe or Worldwide. Of course postal charge will vary depending on the region you select, and are £3.45 for the U.K., £14.85 for worldwide. After you’ve completed your selection, you will be directed to a page where you confirm your order, then you will be directed to a shopping cart type interface where you are expected to peruse your basket contents, billing details and delivery details before proceeding to the payment area. There are several convenient payment options to choose from including Visa, MasterCard, Maestro, and Visa Debit. Once your payment has been recorded as a success, we will craft your specific plates and ship them to your desired address. This entire process should take you no more than 5 minutes provided you have the details handy. So using our number plate maker to order your plates is an effortless and hasslefree process. Whether you need bespoke legal number plates or professional show plates, using a reliable number plates maker is crucial. Getting a hold of the perfect number plate maker for your needs however may be a daunting task considering the ton of services to choose from. 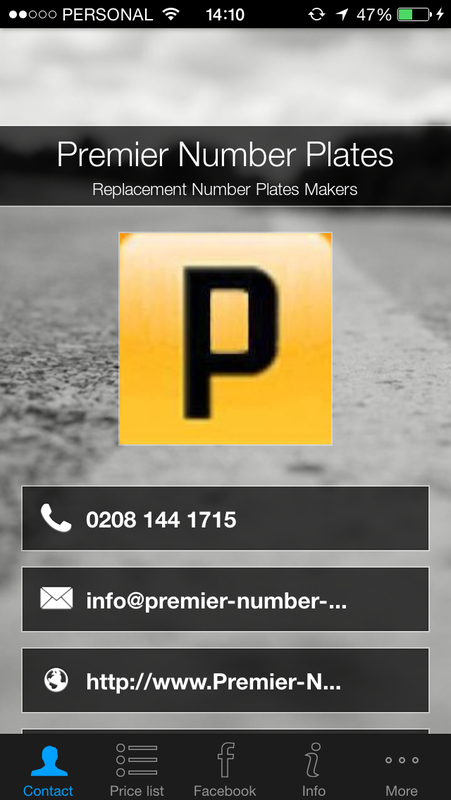 PremierNumberPlate.co.uk not only has the right tools to ensure the number plates we produce are in line with legal specifications, but also plates that are built to last. We use the best materials that adhere to British Standards BSAU145D to ensure customer’s needs are given top priority. 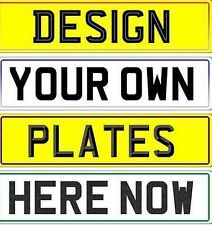 Our number plates maker can be used to generate plates for all types of vehicles from cars and trucks to motorbikes and caravans. Adding to this, you can also create plates for import vehicles from America, Europe or the Far East. If you plan on using your number plates on the road, you need to choose from those that are road legal. If you’re looking to create show plates, you will be spoilt for choice as you can not only select from the various options, but you can further enhance them by customising their border, background and font. Using a number plates maker requires no technical knowledge and to get started, simply enter your registration plate number and select from the various options to gradually customise your plates. Once you’re satisfied with your design, simply head to the online checkout to complete your purchase, which can be generally paid for using all major debit and credit cards. Our payment processing channel is extremely secure so you can rest assured that your details will not be compromised. 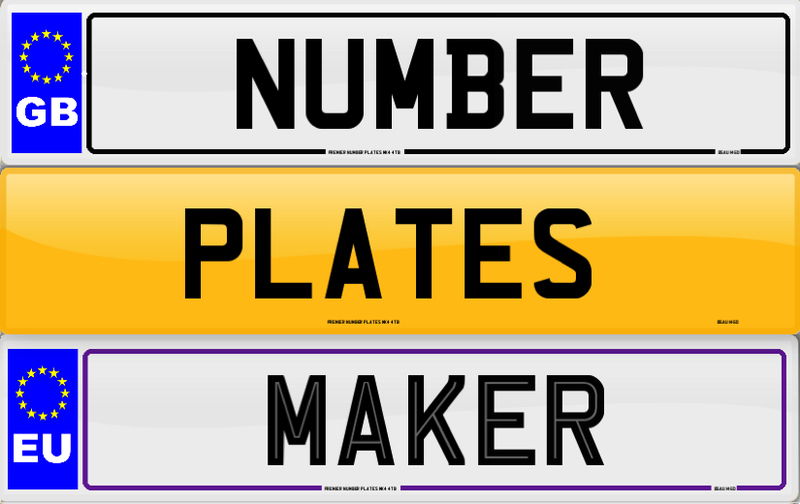 If there are any discrepancies with your purchase or any issues crop up with regards to using the number plates maker, simply get in touch and we will get back to as soon as possible. In the meantime, it might be a good idea to browse through our FAQ page to see if it helps answer your query or issue. Some of the most common questions are the time it takes to receive your registration plates, if they arrive pre-drilled and terms and conditions regarding cancellation policies.